Many pet owners suspect that scratching is a biological need for cats. Few people today still believe the myth that cats scratch things because they are mean. If you happen to be someone who still believes this, let us reassure you that this is not the reason cats scratch. Cats are nice fellas – it is their nature which makes them shred different objects. Even big cats like lions and tigers scratch trees, even if the owner of the tree has done nothing to earn their ire. 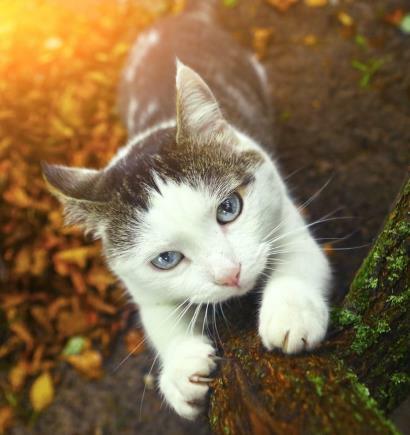 In this article, let’s delve deeper into the question of why cats need to scratch. 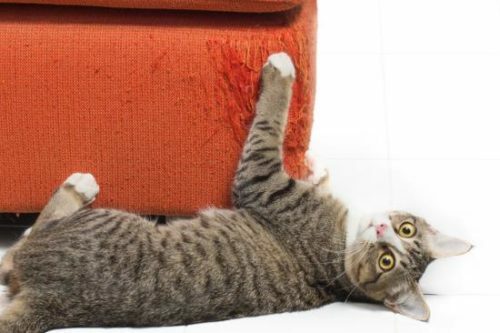 What that means for cats living in a household environment, and whether there is any way to help your cat meet the need to scratch while simultaneously retaining the quality of your furniture. When people consider why cats scratch, the first thing that comes to mind is that they are sharpening their claws. This is, in a sense, correct, though the word “sharpening” may not be completely accurate. What cats are actually doing is tearing off the outer (older) layer of their claw sheath. It reveals a fresh, stronger, sharper, never-used-before claw underneath. You’ve probably found these “claws” on the floor near the scratching post or sofa. Don’t worry, this is totally normal. There is nothing wrong with your cat, it is natural. Thus, since this is a natural thing for cats, this supports the argument that cats need to scratch, not because they are mean, but because it is natural for them to do so. Scratching helps cats get rid of the old sheath on their claws. But that can’t be the only reason they scratch, right? 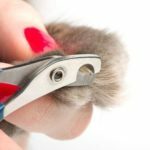 If it was, this issue could be solved by regularly trimming your cat’s claws. But it isn’t. Cats whose claws are clipped still scratch the furniture, though they typically do much less damage to the furniture, if any at all. Recommendation 1: clip your cat’s claws. It will not stop them from scratching, but it will reduce the damage to your belongings. Maintenance of claw hygiene, however, is only a part of the answer for why cats scratch. 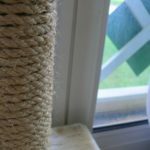 The next reason is likely more important to your cat and is definitely game-changing for cat owners struggling with damaged furniture. Cats mark in territory in different ways, not just by spraying urine. They also spread their scent from their paw pads on their forelegs. Scratching deposits pheromones—special chemical signals that can be sniffed by other cats in order to acquire an information about the cat who left the mark. Besides pheromones, scratching also leaves clear visual marks that can be identified by other cats. Recommendation 2: place several scratching posts throughout the house. Scratching marks territory and is useful only if the marks are present in several locations rather than just in one a distant corner convenient to humans. Why is this marking necessary? Cats naturally have large territories that partially overlap with the territories of other cats. While pet owners often view marking as a claim of ownership, that isn’t quite accurate. Cats don’t really mind to partially share their territories with other pets; their territories are so large that it’s not really practical to mind. At the same time, it’s important that they are informed about any other cats in the vicinity and advertise their own presence. Marking is an excellent communication tool since it sends scent and visual signals over distance and time. Don’t think of it as a border post in a human sense; it’s more like writing on the wall. This has some relevant implications, because border posts would go along borders, but writing typically appears along commonly taken paths and crossroads. Recommendation 3: place a cat tree along high trafficked paths. For example, if a cat often naps on a windowsill in the bedroom and then travels to a food bowl in the kitchen, offering the cat a legal place to scratch (scratching post or pad) along the way is a good idea. Also, note that scent tends to dim over time. This is good for communication; the strength of the scent indicates the amount of time that has passed since it was deposited. This tells a rival cat whether or not the cat who left the mark is still in the vicinity. And, because of that, a scratch mark must be refreshed upon each visit. Recommendation 4: if your cat scratches the sofa, he is more likely to continue scratching it in the future to refresh the old mark. Block access to the scratched location, for example, by covering it with double-sided tape. Don’t forget to place a scratching post in a vicinity. Even better, block the previously scratched location by placing a scratching post right in front of or on top of it. The added benefit of scratching is the stretching exercise it provides. If you’ve ever had a backache, you likely understand the intuitive desire to grab a bar and stretch you back by hanging on it. Letting gravity do the stretching while you hold the bar feels good. And, if done on a regular basis, it can actually help your back and prevent backaches in the first place. Cats stretch all the time. Writer, former marathoner and running coach, Hal Higdon, actually suggests that runners should learn stretching from cats; a cat never asks for prescribed exercises, they just do what feels good, all the time. One of things that feels good to them is to reach up the trunk of a tree (or a wall), drive their nails inside the surface, and let their own weight and gravity do the stretching for them. 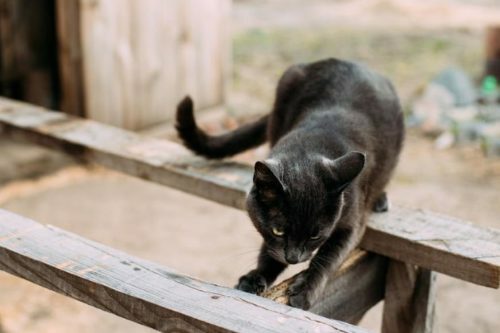 Recommendation 5: Make at least some of the scratching locations in your house either tall posts or pads placed high enough that a cat can reach it only by “standing up” on their hind legs. This will let your cat grab the post, dig in, and stretch his muscles. As we mentioned above, scratching serves several purposes for cats. It’s not just the maintenance of claws, as most believe. Scratching also provides a form of exercise and is a part of communicating over distance and time. 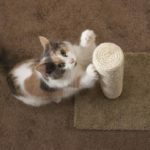 Scratching is useful to cats in so many ways that they actually can’t go without it; therefore, it’s more practical to provide enough locations that your cats can legally scratch, instead of trying to teach them to avoid it altogether. 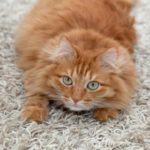 How to stop your cat from clawing carpet?